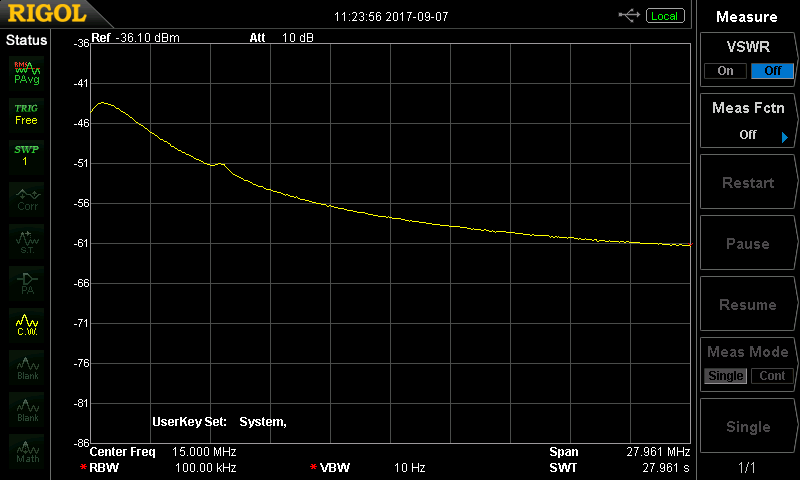 Above, a sweep with 40dB attenuation between the noise source and spectrum analyser at 12.0V supply. 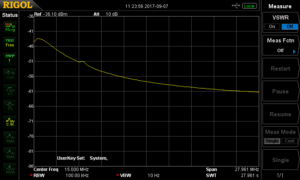 The noise power density is hardly flat with frequency, there is a huge slope. 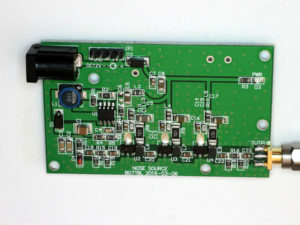 In fact the output is quite sensitive to supply voltage, so there would be no point in calibrating it. Lets convert the measured power in 100kHz bandwidth to ENR. 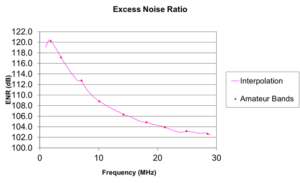 Above is a plot of the ENR of the bare noise source. The board does have a 3dB pad on the output, it does little for the output match so you would probably add an external 10dB pad and in that case you would subtract 10db from the chart above. That still leaves ENR ranging from 110dB down to 90dB across 1-30MHz, HUGE output. 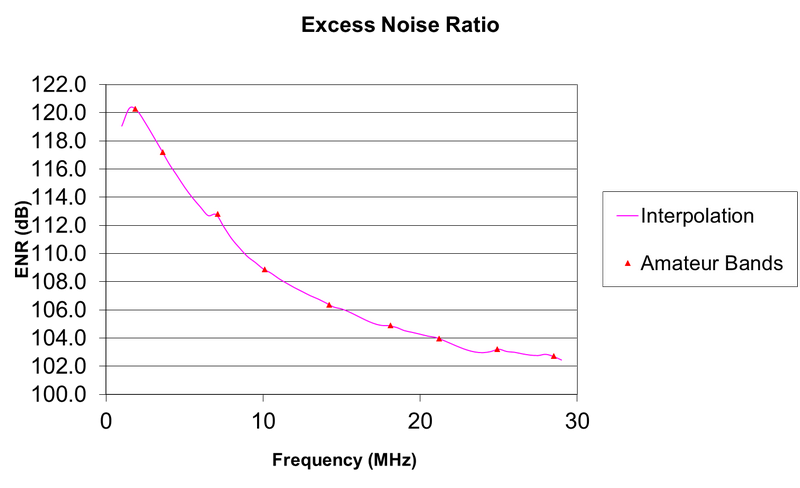 The measured broadband power output is 10dBm, so the final MMIC is operated at or close to saturation. Such high output may saturate many receivers, so if you had in mind using it with an SDR dongle for filter alignment, better add 30dB or more additional attenuation. This was sold with no specifications, and for good reason… it is simply Chinese junk. Branded BG7TBL, I will be very wary of buying anything of that brand.